Ash and Rich on the Dream Liberator. Grimacing on Le Toit du Cul de Chien. 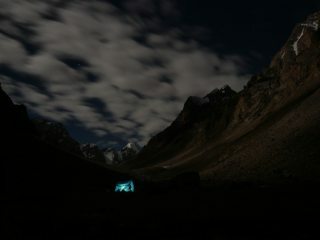 Base camp at night, with the attempted spur visible high on the right. 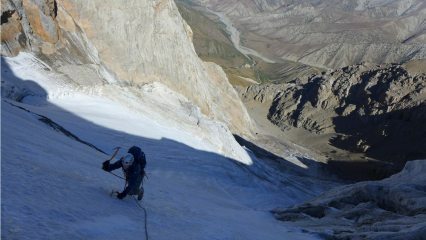 Part way up the ice fields during the first ascent of Mt Kamasu, Kyrgyzstan. 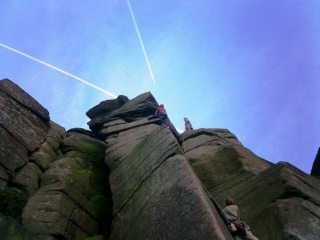 A very pleasant arete (near Curbar, can't remember the name). 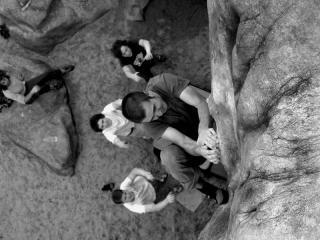 Click to search for photos of climbers called Kyuzo. I've voted for 109 photos, average vote 4.3. 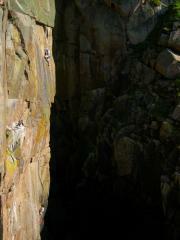 © UKClimbing Limited. All rights reserved. Last updated December 02 2018.